Corey Christopher James was born on June 16, 1983 in Scranton, Pennsylvania. He was the only son of John and Donna James and only sibling to his sister Amy. Corey resided in Moosic, Pennsylvania from birth until December 2, 1993, when he relocated with his family to Deltona, Florida. Corey attended Discovery Elementary School, Deltona Middle School and was a 2001 graduate of Deltona High School, Deltona, FL. Despite having the Florida Prepaid College fund and earning the Bright Scholarship Fund, Corey chose to enter the Armed Services. He joined the U.S. Air Force on June 26, 2001 and attended basic training at Lackland Air Force Base, San Antonio, TX. Upon completing his basic training, he attended tech school at Shepherd Air Force Base in Wichita Falls, TX. Following tech school he was stationed at Davis Monthan Air Force Base in Tucson, AZ. Corey was an Airman First Class with the 355th Component Maintenance Squadron working on the A-10 warplanes, which were instrumental in the War on Terror in Iraq. 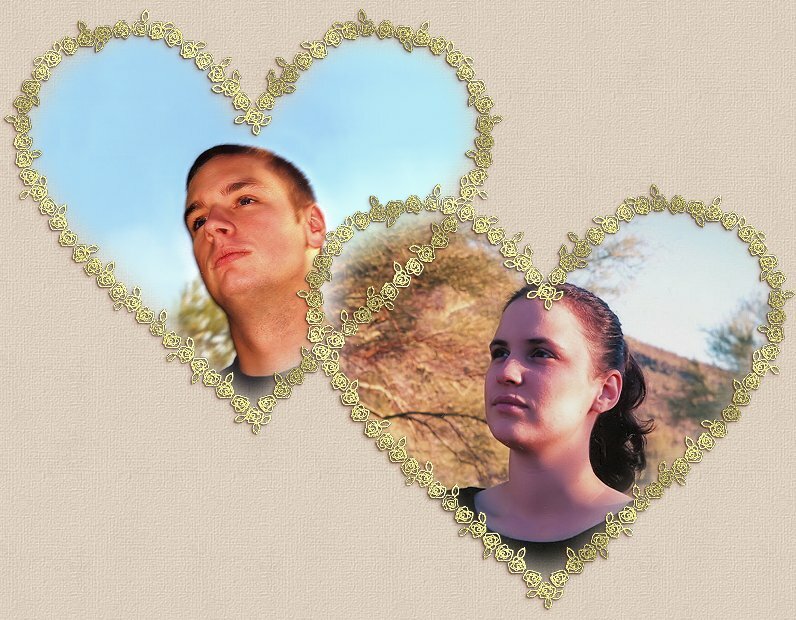 While stationed in Tucson, Corey met and fell in love with Michelle Burkhamer, daughter of Joseph Burkhamer of Indiana and Marjorie Surine of Gold Canyon, Arizona. Michelle was the only daughter and the only sibling to her brother Michael. Corey and Michelle were true soulmates from the moment they met. There were so many similarities between them that they discovered while dating. Besides being the youngest of their families, both Corey and Michelle's moms were hospitalized while pregnant with them for spotting. Both Corey and Michelle were only hospitalized once in their lives, around the same age and for the same illness....Gastroenteritis. Growing up, both Corey and Michelle had to have sutures done in the same body part...their lips! Michelle had a cat as a child that she named COREY! Corey's mom had a name all picked out for him if he had been a girl....MICHELLE! Both Corey and Michelle's moms are nurses as well as Corey's sister Amy and Michelle's aunts. Corey and Michelle became engaged on Thanksgiving Day 2002. Corey wanted a truly unique way of proposing and Thanksgiving provided that opportunity. He arranged it with Michelle's mom, to put the ring inside the turkey as it came out of the oven. When Michelle's mom asked what was in the turkey, Michelle came to look, finding the ring. Corey got down on one knee and asked Michelle to marry him and with tears in her eyes, Michelle said YES! Corey and Michelle were married on May 18th, 2003 at Gold Canyon Golf Resort, AZ. in a beautiful outdoor ceremony. What a beautiful couple they made, the love they had for each other was so evident to everyone. What no one knew that day was that less than 3 months later, Corey and Michelle would lose their lives in an automobile accident on Highway 79 in Florence, AZ, returning from a trip to see Michelle's mom and grandfather. They encountered an unmarked, deteriorated construction zone where large potholes filled with loose asphalt had opened up, causing Corey to lose control of his truck. They were spun into oncoming traffic and hit almost head-on by an empty sulfuric acid tanker. Corey and Michelle touched the lives and hearts of countless people in their brief lives with us. They will never be forgotten and the families will be trying to cope with the pain and anguish of losing them for the rest of their lives. Funeral services were held Saturday, August 30th, 2003 at Deltona Memorial Gardens with a gathering of friends at 10a.m. and Full Military Honors service at 12p.m. with the U.S. Air Force Chaplain officiating. Corey's parents were presented with the Air Force Medal of Achievement for Corey. Following the service, Corey and Michelle were interred together at Deltona Memorial Gardens. Arrangements were entrusted to Deltona Memorial Funeral Home, 1295 Saxon Boulevard Orange City, Florida 32763 (386) 775-4260.